At least, says the author, check the facts before slamming someone. 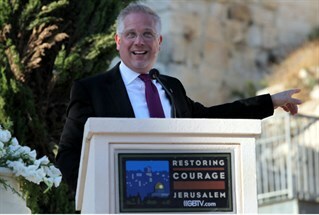 Abraham Foxman and the ADL have attacked Glenn Beck for using imagery that they claimed was Nazi at the NRA convention. The problem is that Beck did not use a mock-up of Mayor Bloomberg giving the Nazi salute — the image was of Mayor Bloomberg in a famous pose of Vladimir Lenin. (See the full ABC News story). 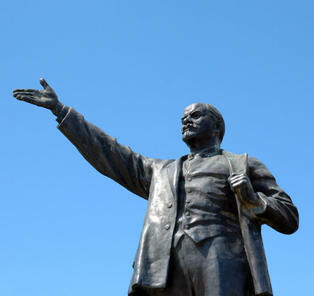 The image of Lenin that Glenn Beck used is so famous and iconic that statues have been made of it. 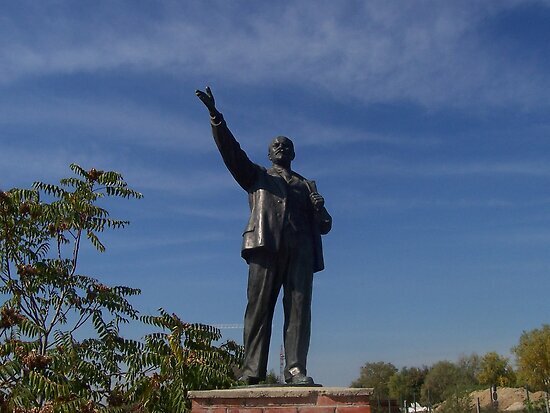 Perhaps the most famous one is now in Memento Park in Budapest. Foxman and ADL have not only displayed the inability to tell the difference between Nazis and Communists, but, more important, the difference between who the Jewish community’s friends are and who our enemies are. The ADL has been wrong about Beck for years. ADL’s foolishness must stop. Foxman owes Beck an apology. Also worth mentioning here is that the ADL has chose to remain silent on the latest outrage from Chris Mathews where he compared the National Rifle Association to Nazis.